Whether appointing a king is legally obligatory or not is a subject of great controversy. But whether it is or is not, the Torah recognizes that it is human nature that people will ask for leadership in the form of a king (Deuteronomy 17:14). When they do, the Torah builds limitations into the kingship so that the king will never abuse his power. Of paramount importance is that both the king and his people realize that while he is the leader, he is still a subject of God. In the end it is the Lord who is the King of kings. This may explain the seemingly odd rule that that the king cannot return the people to Egypt (Deuteronomy 17:16). Egypt represents that place where the Pharaohs insist that they themselves are God. All revolved around them. Upon leaving Egypt the Jewish people no longer remained subservient to Pharaoh, but to God alone. God here is declaring that the people are my subjects — not subjects of subjects. The tension of allowing for a monarch while at the same time advancing the idea of the sole kingship of God was constantly felt throughout our history. When the Jews asked Samuel for a king: “To judge us like all the nations,” Samuel is upset (Samuel I, Chap. 8). Wanting to be like all the nations is a distortion of the unique Torah definition of kingship where the king remains beholden to God. 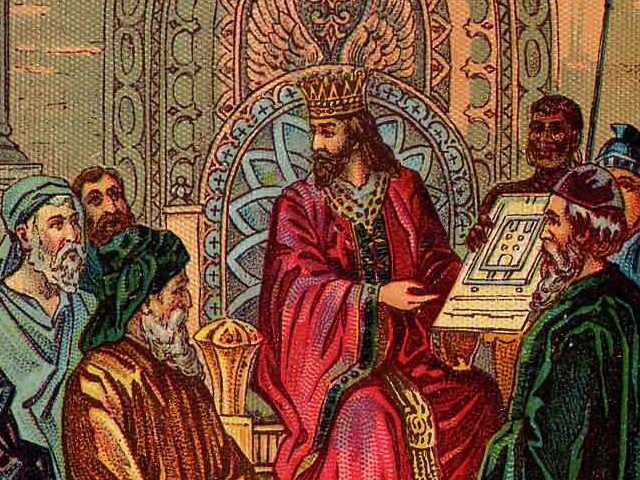 The unique nature of the king of the Jewish people is further understood at the conclusion of the Book of Samuel. David improperly takes a census of the Jewish people (Samuel II, Chap. 24). It is improper because he counts for the sole goal of understanding the magnitude of his power. If the goal of his counting was to further serve God, he would have counted by asking each individual to contribute a half shekel to the Temple. David makes the same mistake as the nation — believing that the king of Israel is in the center rather than God. The concern that the king not overstep his authority is similar to the contemporary concept of abuse of power. Even in democracies it is not uncommon for presidents and prime ministers to grab more power than they have been given. Still, with all its inherent problems, the office of kingship has positive features. In the time of the Judges, Israel was led by individuals who, by and large, represented their individual tribes. As a result, there was little sense of cohesion of the people. With the advent of kingship, Israel is led by one authority whose major task is to unite the entire Am (nation) to speak for all and act on their behalf. No wonder the first king, King Saul comes from the tribe of Benjamin, a tribe that had been ostracized in the Concubine of Givah story. If Saul, who came from Benjamin, could become king and be accepted by all, any king had a chance to accomplish his goal. Tragically, the unity did not take place. Saul was stripped of his kingship; the kingdom of David is split in two. And today, we continue to anticipate the time when a descendant of David will arise and usher in redemption for all our people who will together in unison, in Jerusalem, proclaim the ultimate kingship of God.